If you're not developing embedded systems and platforms, stop reading. But if you do, please continue because what you're about to learn is very interesting and is something you can use in your development process to ease and speed up the project. Some embedded systems feature embedded USBs, and it is common for these systems to have no standard USB connectors. iProtoXi sensors are behind and driving the Jola phone OtherHalf board. Watch this video and imagine what you can achieve with those tiny, smart sensor boards. You fantasy sets the limit! Are you working with I2C or SPI? If so, did you know that the I2C Development Kit offers a significant savings over buying some of our products separately? For the price of an Aardvark I2C/SPI adapter and a Beagle I2C/SPI analyzer, the I2C kit bundles an I2C/SPI Activity Board and two 10-pin split cables at no additional cost! The activity board is useful as a known-good slave for you to test your commands and the labeled split cables provide an easy way for you to hook up our solutions to your system. Designed by experts in using and integrating different sensors including accelerometers, magnetometers, gyroscopes, touch, pressure, force, proximity, ambient light sensors and sensor combinations (sensor fusion). The small and smart sensor boards can be "clicked-in" on the main CPU board without the need of any soldering or similar. Connect up to two sensors on the CPU board and control them via Internet using the Aistin software. With the iProtoXi Aistin software you can control sensors remotely from internet by using any modern web browser. Aistin firmware includes a virtual machine which enables user defined sensor logics running on the board. Sensor logics can be downloaded remotely from internet without flashing or booting the device. Watch this third video in the iProtoXi Micro Sensor series and see how this Arduino compatible tiny RGB Micro LED-Board runs through the web in real-time. This small and programmable LED-Board can be easily embedded in your existing design. Watch this second video in the Micro Sensor series and see how this Arduino compatible tiny motion sensor runs through the web in real-time. This small but very smart sensor can be easily embedded in your existing design. Watch this video and see how this Arduino compatible tiny proximity sensor runs through the web in real-time. This is really cool! ProtoXi provides both wired and wireless embedded sensor solutions tailored for customer's applications. Applications can be embedded or larger systems, and may be connected to cloud services. Example of sensors provided is accelerometers, magnetometers, gyroscopes, touch, pressure, force, proximity, ambient light sensors and sensor combinations (sensor fusion). Watch this video demonstration showing how easy sensors can be connected to the Micro board. iProtoXi uses intelligent sensor development platform as a modular tool for developing customer applications. The modular sensor development platform be used with I2C or SPI devices. As USB devices continue to grow in number and complexity, developers need their monitoring and analysis tools to keep pace. 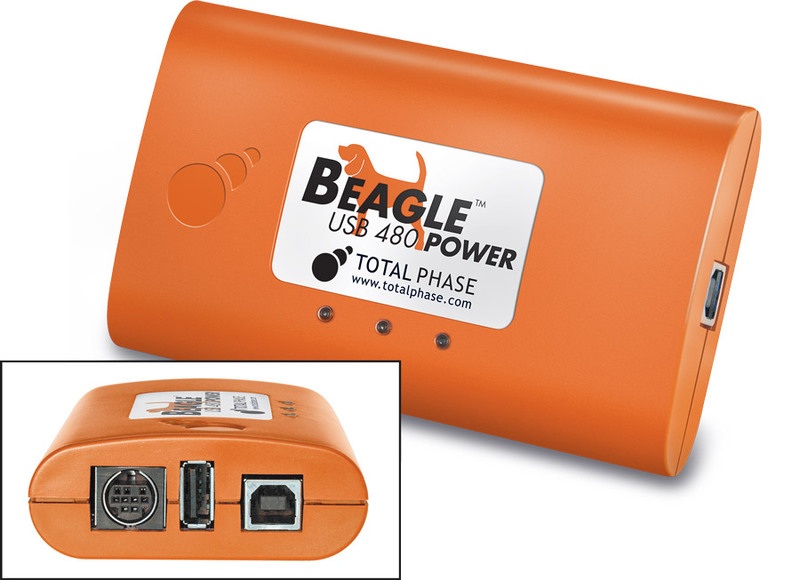 The Beagle USB 480 Power Protocol Analyzer enables your competitive edge with its unique, powerful features and a price that is a fraction of competing equipment. The Beagle USB 480 Power Protocol Analyzer – Ultimate Edition enables VBUS current and voltage measurement within our industry-leading Data Center software.